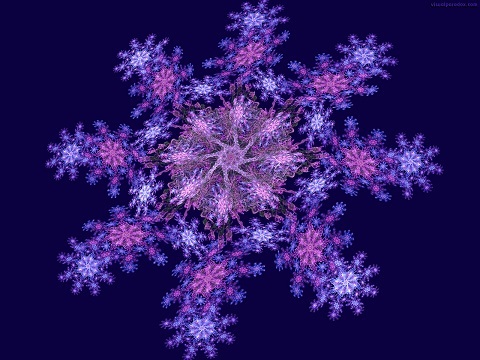 Fractals in mathematics and physics are structures that look alike in every scale. A snowflake is a hexagon. This hexagon is consisted of little hexagons, so if we look through a microscope we will see the same thing as looking with our naked eyes. 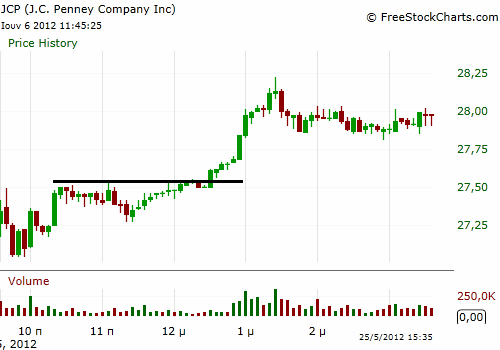 Price charts are like fractals because they look almost alike in every time frame (5 minutes, half hour, daily etc.). Every pattern someone can see in a half hour chart can be seen in a daily chart also. Support, resistance, trend, breakouts, reversals and other formations are applied in every time frame. The properties of every formation are amplified as the time frame becomes bigger. 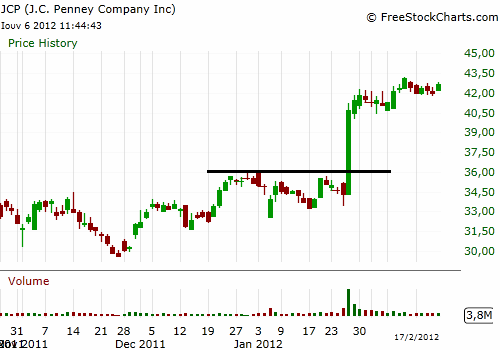 A support in a daily chart is more powerful than in a 5 minutes chart. If price makes a reversal in a daily support it can be counted in dollars, whereas in a 5 minutes chart it can be counted, most of the times, in cents. Also we can have a breakout or a reversal in a 1 hour chart and simultaneously having a breakout or a reversal in the 15 minutes chart or in the 5 minutes chart.